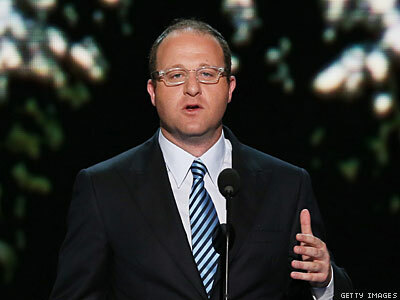 Democrat and out gay father Jared Polis easily won his bid for a third term representing Colorado's second congressional district. On November 6, out father Jared Polis handily won re-election to a third term in the U.S. House of Representatives, securing 55% of the vote in Colorado's second congressional district. His antigay opponent, Republican state Sen. Ken Lundberg, garnered just 40% of the vote, according to CNN. The 37-year-old gay father told The Denver Post that he is ready to get back to work in Washington, D.C. "I look forward to rolling up my sleeves and working to get this country moving forward," Polis told The Post. Jared Polis, who is vying for a third term as the U.S. representative for Colorado's second congressional district, is favored to win his reelection bid in the safely Democratic area in the western part of the state. Here are five reasons why Polis, a gay Democrat with a background in business, is likely to win by a landslide, just as he did in 2010, when he won reelection with 57% of the vote. Polis is expected to retain his seat in the 2012 election despite the 2010 redistricting that made his district less safely Democratic. Legislative insider site ColoradoPols.com puts Polis's odds of winning at 3-1, predicting Polis "will coast to a third term." Several polling sites don't even bother listing Polis's race — that's how sure they are that he will be reelected. Polis's Opponent Is "Too Extreme" and "Far-Right"
Polis's Republican challenger is Colorado state senator Kevin Lundberg, one of the staunchest right-wingers in the legislature. Lundberg vocally opposed civil unions in the state, voted in favor of a personhood amendment, and, as The Denver Post put it in its editorial endorsing Polis's reelection bid, "Lundberg is a far-right Republican whose socially conservative views are too extreme for this district." When he entered Congress in 2009, Polis was among the top 10 wealthiest members of Congress, when Roll Call estimated his net worth at $65.9 million. According to The Denver Post's most recent analysis of campaign spending before the election, Polis's campaign had raised $1,358,923, of which more than $680,000 came from the candidate himself. According to the same article, Polis's Republican challenger had raised just $230,917. This might not be the most compelling reason that Polis will win, but it's one that adds a certain middle-American relatability to the congressman. On September 30, 2011, Polis and his partner, Marlon Reis, welcomed their son, Caspian Julius, into the world. They were low-key about the birth, declining to give details on whether Caspian arrived in the family via surrogate or adoption. Regardless, the fact that Polis is the first out gay parent in Congress should help even those more conservative voters see past any bias about his gay identity. Of course, if he's reelected, Polis will also be the most senior LGBT member of the House, and he cochairs the LGBT Equality Caucus, so homophobes still might have trouble casting a ballot for Polis. While the bills backed by Polis are generally liberal in nature — he supports the DREAM Act and the decriminalization of marijuana, and he introduced the Student Non-Discrimination Act, which would address bullying and harassment based on students' perceived or actual sexual orientation or gender identity — he has a history of working with Republicans to effect change. In June, Polis teamed up with a fellow Colorado congressman, Republican Mike Coffman, to sponsor a bill that would bring home 15,000 U.S. troops currently stationed in Europe. He's also sponsored bipartisan amendments to a cybersecurity bill and introduced an environmental education bill with Delaware Republican Mike Castle. Polis is proud of his bipartisan record and is convinced it reflects something voters are eager to see more of following this year's election. "Wherever I am, I hear the same thing from voters," Polis said. "They are more interested in results and solutions that create jobs, grow our economy, and expand opportunity than they are interested in party and ideology. The 112th Tea Party Congress simply refused to put forward common-sense solutions and voters everywhere did not like what they saw, and they are ready to elect problem-solvers in November." Polis crystallized his belief that we are more powerful united than we are divided in his impassioned speech at the 2012 Democratic National Convention. "We're a diverse country, but we are one country," Polis said at the convention, gesturing emphatically. "And we are at our best when we come together as Americans, not in spite of our differences, but in celebration of them. From our newest arrivals to our Native American brothers and sisters, we are one America." Watch Polis's entire convention speech below.